What, exactly, are we talking about, when we talk about a man who deliberately flies a plane carrying 149 other human beings into the side of a mountain? In a sense, we’re talking about a suicide. That’s a common enough thing. Plenty of people carry it out — 40,000 each year in the United States alone. You could also say we’re talking about murder, and that’s true, too. The other 149 people on board Germanwings 9525 had their lives taken from them, just as the 16,000 Americans murdered each year have. Or you could invoke the specter of murder-suicide, that increasingly familiar explosion of self-consuming, purposeless annihilation — the disgruntled postal employee, the trench-coat-wearing high schooler, the well-armed moviegoer. These violent acts strike seemingly indiscriminately. But they occur often enough that we can find a sense of understanding. We can draw up psychological profiles of attackers and study patterns of behavior to understand causes. We know much less about pilots who fly their planes into the ground, because it’s so unusual. Though pilots are under increasing stress, their mental health is carefully vetted. To become a commercial pilot, one must undergo physical and psychological screening. Additionally, pilots are a self-selecting group. They’ve earned their way to the cockpit through hard work, discipline and a willingness to take on as their regular daily routine an activity that many people consider too dangerous to do at all. In my experience interacting with pilots — I’m a recreational flier and an aviation journalist, so I run into quite a few — they tend to exhibit what psychologists call an “internal locus of control,” meaning that they believe that whatever obstacles lie before them can be tackled using their own resources. How, then, could such a pilot kill himself along with all his passengers? It’s almost impossible to say, because such a thing has only happened a very few times. And in none of them did the pilot leave behind a note, or offer any words of explanation to be picked up by the cockpit voice recorder. In 2013, the captain of a plane flying from Mozambique to Angola waited until his co-pilot got up to go to the bathroom, locked the cockpit door, then set the autopilot to fly the plane into the ground. Rumors circulated that he had suffered marital problems, and that his son had recently died, but none have been verified, and the Mozambique authorities have failed to issue an official report. In 1999, the first officer of an EgyptAir flight from New York to Cairo waited until the captain went to the bathroom, then disengaged the autopilot, throttled back the engine, and pointed the nose toward the ocean. The captain reappeared, asked “What’s happening?” and wrestled for control of the yoke until the plane struck the water, killing everyone aboard. It was later speculated that the first officer had been traumatized by his wartime experiences. In 1997, the captain of a Silkair flight from Jakarta to Singapore disconnected the flight data recorder as the plane was cruising at 35,000 feet over Sumatra, then put it into a steep dive. Though he had apparently run up considerable debts, a Singaporean investigation subsequently found no evidence that he was suicidal. Many suspect that MH370, which disappeared just over a year ago en route from Kuala Lumpur to Beijing, was spirited away by a suicidal captain who also locked his first officer out of the cockpit. But Malaysian investigators found no evidence that the captain was suicidal, and with no debris found on the sea surface, and no wreckage on the seabed where experts calculated the plane should have wound up, that theory remains as tenuous as any other. At the center of each of these cases hovers a black hole of unknowableness. There is no way to understand why these men did what they did, or even to verify that they did it. Indeed, Indonesian officials dispute that the SilkAir crash was a suicide, as do Egyptian officials in the case of EgyptAir. Perhaps, then, we have been too quick to accept the proposition laid out this week by the French public prosecutor in Marseille: that 27-year-old first officer Andreas Lubitz, who came up through the ranks of a recreational gliding club as a teenager and had managed to secure his dream job as a first officer on a subsidiary of prestigious Lufthansa, would, calmly and without a word or even an exclamation of fear or rage, fly himself, his passengers and crewmates to their collective destruction. I don’t mean to say that Lubitz did not carry out the deed that he stands accused of. He may well have. Recent reports in the German media indicate that he had been treated for psychiatric problems, and that he had a doctor’s note declaring him unfit for work on the day of the crash. Even so, that is a long way from explaining why he would commit mass murder. Until the evidence against him is fully revealed as absolutely rock-solid, we should retain a glimmer of doubt regarding his culpability. Because what is being judged here isn’t just the guilt or innocence of one man. We are judging the validity of the premise that pilots are fundamentally trustworthy people. This notion has been the bedrock of world aviation since the first passenger took to the air. If we don’t trust pilots, we don’t trust the system itself. We should think carefully before we decide to take that step. This article appeared in the Washington Post on March 27, 2015. “…as a psychiatrist confronted daily with “problem” patients in the general hospital where I work, I find that depression is also overdiagnosed. Even doctors invoke “depression” to explain anything a reasonable adult wouldn’t do. For instance: Act completely blasé, then lock the pilot out of the cockpit, and deliberately crash a plane full of people. I don’t know what that is, but it’s not depression. (at least not disconnectable by a simple circuit breaker). Not to mention that the last 2 hours on the CVR don’t even cover any of the crucial moments in the cockpit. Very important words, that were dearly missing from the conversation. Nonsense. Shall we explain mass murder away and declare a murderer innocent just to feel safe and comfortable, cosy and warm? Sorry, this article makes me feel sick. You can’t make the blue sky green. ANDERSON COOPER: Jason on Twitter asks: If the co-pilot’s ultimate goal was to crash the plane, why didn’t he just nose dive instead of gradual descent? DAVID SOUCIE: Because there are safeguards that are put into the aircraft to prevent that from happening. So that would prevent that from happening. ANDERSON COOPER: It’s difficult to put oneself in the head of somebody who is going to be committing mass murder and also committing suicide at the same time. DAVID SOUCIE: All we do know from previous events is that the intent of those particular people was that they wanted to get down pretty quick … that they were bringing it down quickly. […] However, again, with the technology of this airplane — that ability to stop it from happening would have prevented this type of move. Several “Aviation experts” on CNN (one of them quoted above) claimed that you cannot do a nose dive in that airbus model (A322), because the plane wouldn’t let you do that. They took this as argument for why the co-pilot may have opted for a steady descent, explaining that the plane would have prevented him from nosediving. I am very reluctant to second-guess an accomplished pilot and FAA investigator, such as David Soucie, but I thought that if you select direct law, you would not be bound by any such limitations. Can someone here clarify ? RICHARD QUEST: “This airworthiness directive was issued by the European Aviation Safety Administration. So we know their concern according to this document stems from an A321, which, that is the same family as the A320. It is just slightly larger. Is he right this time in alleging that there have already been several(!) crashes resulting from a FMC-induced descent where pilots could not take back command ?? If yes, which were those flights ? What other cases are there where “pilots have not been able to stop an automatic descent” ? for someone so motivated to kill 149 ppl and commit sucide so brazenly in front of the entire world – when the captain started pounding the door of the cockpit. What would go through his mind? If that captain gets in before the crash his all so determined plan is over and he will be humiliated before the entire world for the rest of his life. So how would he have reacted ? ….. By accelerating the descent as the pounding on the door got louder. Does the blackbox show that to have happened ? While I tend to agree with your comment, what exactly do you mean by cultural issues being at work here? I’m not criticising – I’m just curious. And if I understand you correctly you might be right. I am shocked that Andreas Lubitz even got a pilot’s licence and was subsequently hired by Lufthansa. His self reported depressive episode was classified as being suicidal even back then. And there’s always the danger of a relapse with someone who has experienced such an episode. It’s not like a broken leg which heals and everything might be fine in the future. There has been a lot of talk about the danger of stigmatizing people who are or have been ill with depression. That’s true in general. Many depressive people can function very well, other might take a time-out. And most suicides don’t include mass murder. There must’ve been an additional personality trait of Andreas Lubitz at work here. What he has done is more similar to an amok run, where the shooter kills himself in the end. But all these windows into a sick mind don’t relieve Lufthansa from their responsibility. Not to hire someone like Andreas Lubitz as a pilot, who might be in a situation of responsibilty for several hundred lives, isn’t unfair discrimination of peeople with depression: If someone is found unsuitable for this special job because of a heart condition or bad eye sight, nobody would regard this as an unfair discrimination of people with a heart condition or of severely near-sighted persons. There are many jobs where you have to fulfill certain criteria in order to be a suitable candidat. For some jobs you might be simply too short. That’s the way it is. What distingushes Andreas Lubitz from other people in this situation is his lack of responsibility to deal with this situation and accept harsh realities. And that poses the question if the strict screening methods for future pilots have failed to catch more than just a susceptibility for depression: a certain lack of responsibility. And that might be even more dangerous than depression. These people were killed by political correctness. With the decline of the church in the west tolerance became a religion. It’s more fashionable and expedient to accommodate than to discriminate but Lufthansa could have argued successfully that these conditions and their medications could compromise your ability to handle an emergency. Pity they didn’t. 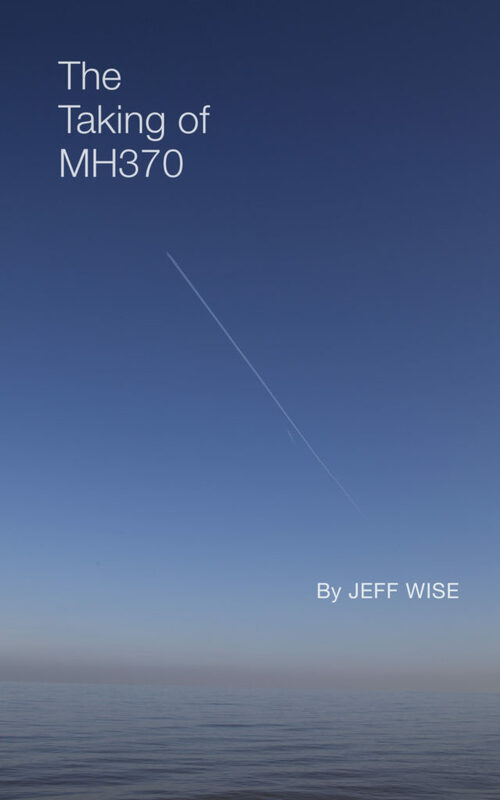 Anyway, I just posted a real shake-up story on the MH370 thread – check it out!! Couldn’t the Germanwings captain have climbed down into the E/E-bay and just pull the circuit breaker to regain access to the cockpit? 10 minutes would have been enough time to accomplish that. PS: If someone could comment on my 2 remarks above (direct law; and crashes resulting from a FMC-induced descent), I would be much obliged. “The critical issue that burns from the pages of the European media and news reports concerns an airline allowing a pilot about which it had adverse information to continue to train and eventually fly as one of its pilots. @Peter, Miles’ comment was made with regards to the 777 — in Airbus planes, the hatch to the E/E bay is inside the cockpit. Also, I don’t know how many pilots would know where the door-lock circuit breaker is. I’m happy to finally find a article that adoptes a critical attitude to the investigation’s first findings. It is, indeed, unheard of that firm conclusions are drawn 48 hours after the VCR was recovered from the crash site. Doubtless, the device carries crucial clues as to the causes of the accident but making public announcement based on this only source of information seems a bit hasty. The article was written before the second back box had been retrieved. Today, there is actually no doubt that the Germanwings crash was a deliberate act. As the investigators delve into the FO’s personal life, every day we learn new terrifying facts about his suicidal tendencies. Here in France the topic has triggered lots of questions about how pilots’ mental robustness is actually assessed. According to the reports I’ve seen on the French media, pilots undergo psychological screenings, performed by a professional psychologist, only during their training. Once they have been hired by an airline, they do not undergo any psychological assessments anymore. Only their physical abilities are regularly tested. As part of these regular exams pilots are asked, by a physician, whether they have any personal issues that may impair their professional performance. For fear of being declared unfit for work, most of them do not report any problems. Running in-depth psychological screenings parallel to the current mandatory exams is not necessarily the ultimate solution, but it might at least help pinpoint the most fragile individuals in order to offer them appropriate assistance. I guess it is worth considering. @Matthieu, Thanks for your comment. Indeed, since I wrote the Op Ed the case against Lubitz has come to look pretty unassailable — at the time it was just very, very strong — but I think it’s always worthwhile to stand up for proper procedure. Indeed, we now collectively face what I think will be a daunting task, in trying to figure out if there’s a lesson to be learned from this so that we can prevent it from happening again. I fear that, contrariwise, other murderously suicidal pilots might get an idea in their head that they might not otherwise have had. What ever happened to the air marshals program? This crash is eerily similar to a Lufthansa incident in November where a plane nosedived due to a failure of the ‘fly-by-wire’ system. This is a known fault in Airbus planes, and if this was indeed the cause of the GermanWings crash then it’s little wonder they are running a smear campaign on the pilot. The financial implications would have been huge. It may have devastated the budget airline industry for some time. @Andrew Waters, I wrote about this on Slate in a post entitled “The 2013 Airplane Crash That Is Eerily Similar to the Germanwings Tragedy.” That was before the evidence emerged that Lubitz had committed suicide, however. Personally I know find it very unlikely that a mechanical cause was behind the Germanwings crash. It appears that Lubutz was taking a drug called Lorazepam which has a side effect of increased suicide risk and is highly addictive. The FDA recommends taking this for no longer than 4 weeks. Did the doctor know Lubutz was a pilot? How long was LubItz in this medication. We’re any of the other pilots on similar medication?